Contact lenses should not be stored in anything other than contact solution, and should be cleaned every time you take them out. However, if you are in an emergency situation where you need to store your lenses overnight and do not have any contact solution, there are a few alternatives. Saline solution, distilled water, and salt water can be used in substitution. Store your contact lenses as you normally would in saline solution. Saline solution is the safest alternative, but you should not use it everyday--only when you really have to. 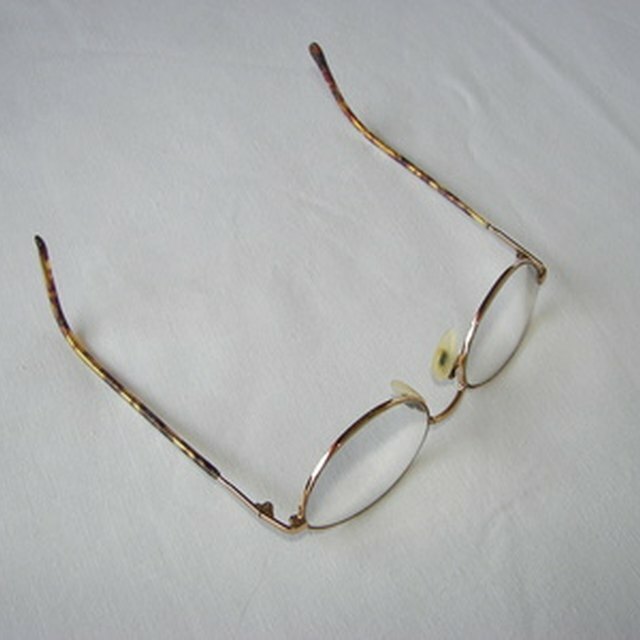 Store your contact lenses as you normally would in distilled water. Distilled water is the next safest alternative because, unlike tap water, it does not contain the virus acanthamoeba keratitis. Although distilled water is safer than tap water, there still is a small risk of infection, and you should not use it on a regular basis. Mix one teaspoon of salt with six to eight ounces of water, then store your contacts as you normally would in the salt water. Salt water is only acceptable as a last resort. There is a high risk of contracting acanthamoeba keratitis, but the salt will kill most of the bacteria, so it's still not as risky as tap water. Rinse your contact lenses off with contact solution before putting them back in. It's very important that you clean your lenses with contact solution before you put them back in your eyes ensure they are sterile and prevent infection. Acanthamoeba keratitis is a very dangerous virus found in tap water that can cause a painful eye infection and possibly lead to vision loss. 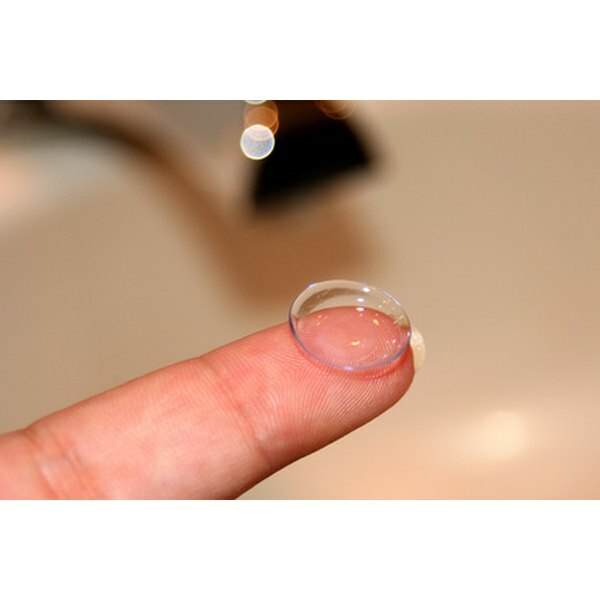 Never use ordinary tap water to store your contacts. Do not let your lenses soak in anything other than contact solution for more than one night.